Mercedes Museum: Embarking on a journey through time, visitors are carried by lift to a height 38 yards above the ground and transported back in time to the year 1886 - the birth year of the legend that surrounds the pioneering invention of Gottlieb Daimler and Karl Benz - the automobile. As one legend follows another, the chronological tour descends through seven floors and more than 120 years of automotive history. Porsche Museum: "At the beginning I looked around, but I could not find the car I was dreaming of. So I decided to build it myself." The history of Porsche sports cars begins in 1948 with the legendary Type 356 "No. 1", but the conceptual basis of the brand is the result of the lifelong work of Professor Ferdinand Porsche (1875-1951), which was continued by his son Ferry (1909-1998). About 80 vehicles and many small exhibits will be on display at the new Porsche Museum with a unique ambience. 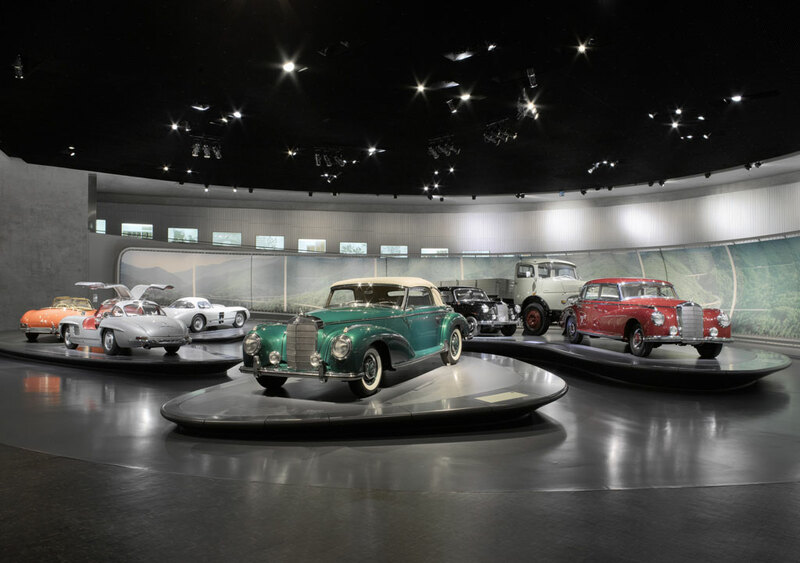 In addition to world-famous, iconic vehicles, such as the 356, 550, 911, and 917, the exhibits include some of the outstanding technical achievements of Professor Ferdinand Porsche from the early 20th century. Add 19.00 € per night for single room. One child under 12 years old stays in parents room for free (admission charges not included). Valid upon availibility on weekends and school holidays. For 2 adults in a double room, only one child up to 12 years (free of charge) can stay for free. You have selected more rooms than people. Mon. through Fri.: 6:15 a.m. - 10:00 a.m. Sat. & Sun. : 7:00 a.m. - 10:30 a.m.
Mon. through Fri.: 5:00 p.m. - 1:00 a.m. Sat. & Sun. : 5:00 p.m. - 1:00 a.m.
© 2010 Best Western Deutschland, All rights reserved. Jedes Best Western ® Hotel ist unabhängig und privat geführt.